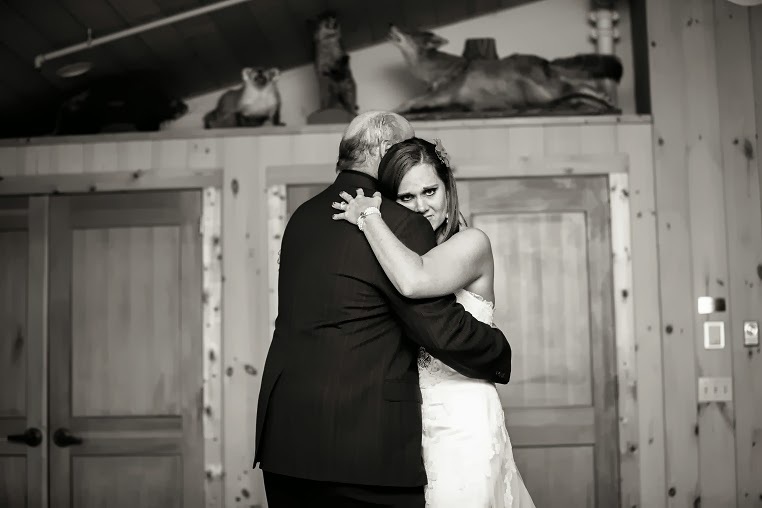 So, almost six months after I'm the new Mrs. A, my dad sends me along this beautiful speech he had prepared for our wedding day, back in September. We were so busy running around with photos - and dancing and having a BLAST that no one had the opportunity to give speeches. His words were just too beautiful not to share them in some public forum. It's beautiful. It's funny. It's perfect. It's us. Every father and parent wants their child to be happy. Every Father and parent wants their children to be happy and never stops worrying about them no matter their age. So when Jamie was going through a tough time in her life ,we were so happy she found a new passion in her life ….. no Joel I’m talking about running . 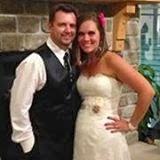 Jamie has fully involved this passion in her life , as many of you are aware by reading her blog and facebook page , and out of this passion has developed this strong and determine woman…. Where did she come from ??? As I recall her as a little girl in a school basketball game when I yelled at her to run and in the middle of the game she stopped , put hands on her hips and yelled back “I AM RUNNING” I believe that was the last time I told her to run. 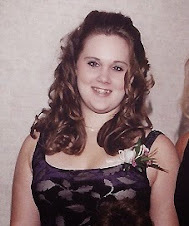 As time went on she would mention that she did meet this guy named Joel…. She introduced this Joel to her new passion of running and seemed to be spending a lot of time together. One night Jamie asked if we would meet this guy named Joel. Well as my daughters can contest, I am not the most receptive with new boyfriends. 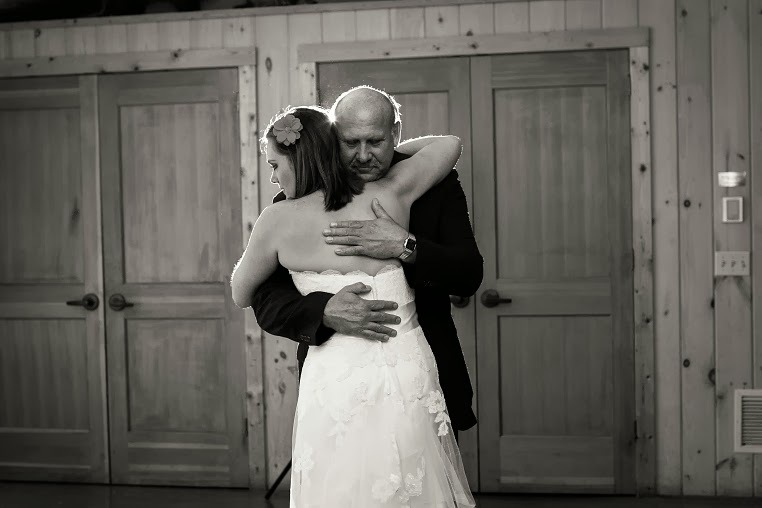 I was determined to be the tough father and let him know she was my daughter. We met that night and he shook my hand strong, but I believe I squeezed a little harder. After time, seeing Joel with Jamie and my grand kids . I could see a real love they have together , not only between Jamie and Joel , but also for my grand children . Its hard to find a man that will love your daughter as much as you think that they should be loved , but to find someone that will love your grandchildren as their own is something special . I then realized I ACTUALLY LIKED THIS GUY. So I would like to make a toast, to Jamie and Joel . That thru this marathon of marriage, you help each other through the hard times up hills, sore feet and side aches, but most important enjoy the downhill runs together to the finish. Madison-area runners can race the trails next Labor Day Weekend without heading out of town. That’s when the Lake Michigan Trail Marathon will make its debut in the Milwaukee County Parks along the south shore of Lake Michigan. The event, which will also include a 50-kilometer race, a half marathon and a 20-mile “training run”, will be held on Sunday, August 31. It will start and finish at Sheridan Park in Cudahy. The course will also include South Shore Park and Bay View Park in Milwaukee, Warnimont Park in Cudahy and Grant Park in South Milwaukee. Much of the course will be on the paved Oak Leaf Trail which runs along the Lake Michigan shore from Milwaukee to South Milwaukee. However, what makes this race so unique is that the course will also go “off road” and venture deep into the woods where runners will find the dirt-covered Forked Aster and the Seven Bridges Hiking Trails. They will even run a little over a mile on the sandy beach in Grant Park. The marathon will be a Boston Marathon qualifier. It will be one of the last chances to qualify since it will be held just two weeks before the Boston cutoff. Despite the trails and sand, it will be a good course to run a decent marathon time. The course for the marathon will take runners on a south loop to Grant Park, then a north out-and-back to South Shore Park followed by another south loop. 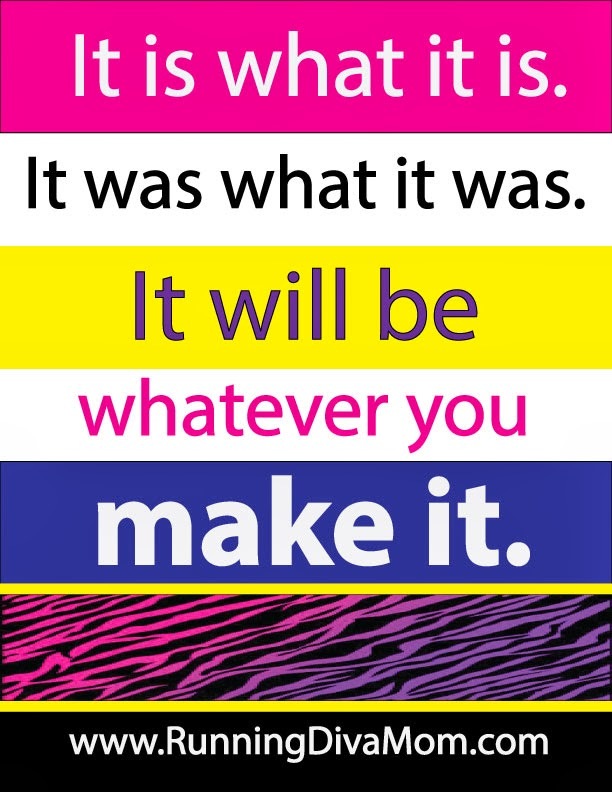 There are not many big hills or sharp turns. The slowest part of the course will be the portion on the beach due to the sand. The 50k (31.1 mile) race will include two south loops and two north out-and-backs. The half marathon runners will do the south loop and an abbreviated out-and-back to the north. The 20-mile course will be similar to the marathon but the second south loop will be shortened. All participants of the marathon, half marathon and 50k will receive a tech shirt, a high-quality finisher’s medal and reusable goody bag. The races will be chip-timed. For the 20-mile “training run”, participants will bet a shirt and a bag, but not a finisher’s medal. The 20-mile event, which will have a special low price, is aimed at runners who are training for a fall marathon and want to get in a long run which includes a race-day atmosphere. One of the goals of the race is to educate and raise awareness of the Milwaukee County Park System, especially along the south shore of Lake Michigan. A portion of the proceeds will be donated to the Friends of Grant Park. A second charity partner will be the Crohn’s and Colitis Foundation. 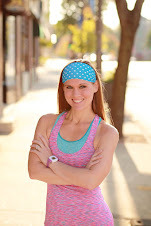 Sponsors include Performance Running Outfitters and Running in the USA. 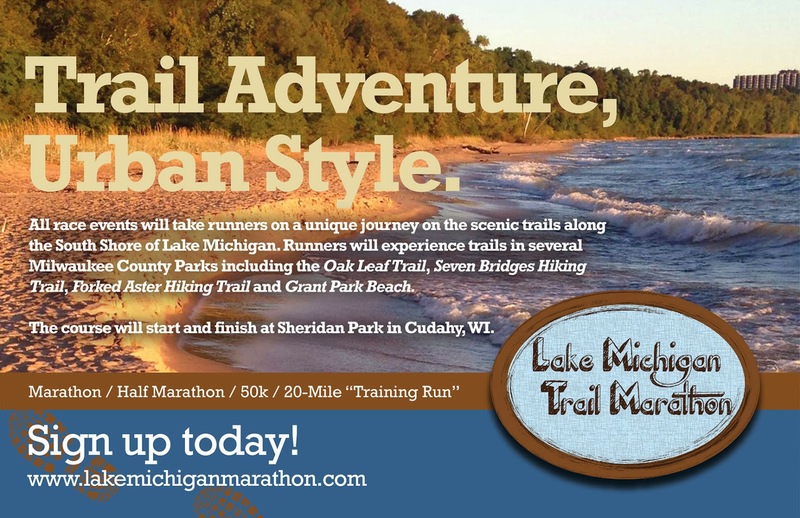 any of the Lake Michigan Trail Marathon events! 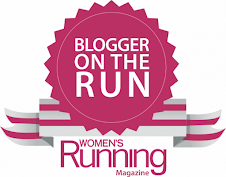 5 – Post about this giveaway on your blog, Facebook or Twitter (@RunningDivaMom @LakeMarathon #RunningDivaMom) account. LEAVE ME A COMMENT FOR EACH. Enter now though Tuesday, March 4. I'm more-than-thrilled to be serving as an ambassador for the Women Run Pewaukee Half Marathon (HERE). 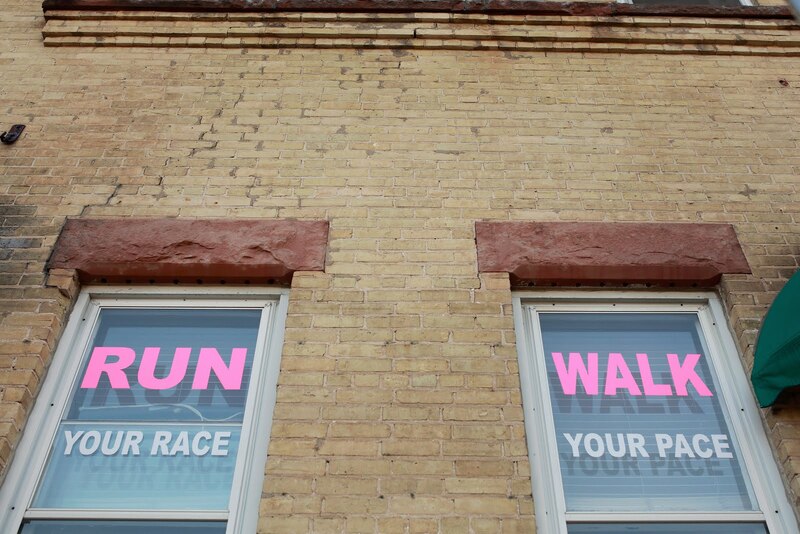 Located between Madison and Milwaukee, this mini-destination race is going to be a really fun event for female runners in the area. I made the jaunt with Little Diva to Milwaukee in January. 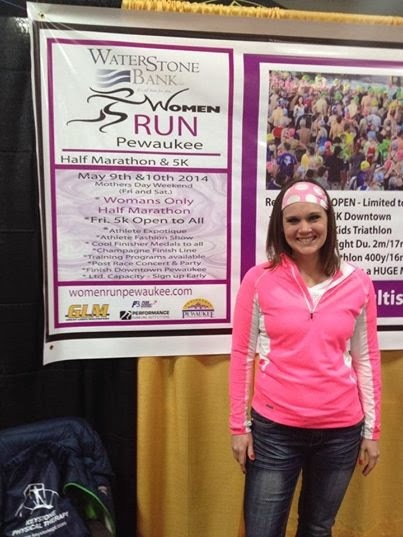 We helped out briefly at the Women Run Pewaukee booth at the Great Lakes Multisport Expo. What a nice way to break up the loooong Wisconsin winter and chat with other runners! Thank you to everyone that stopped by to say hi and mentioned that they read RDM and it was fun to meeting everyone that I met while helping out at the booth. 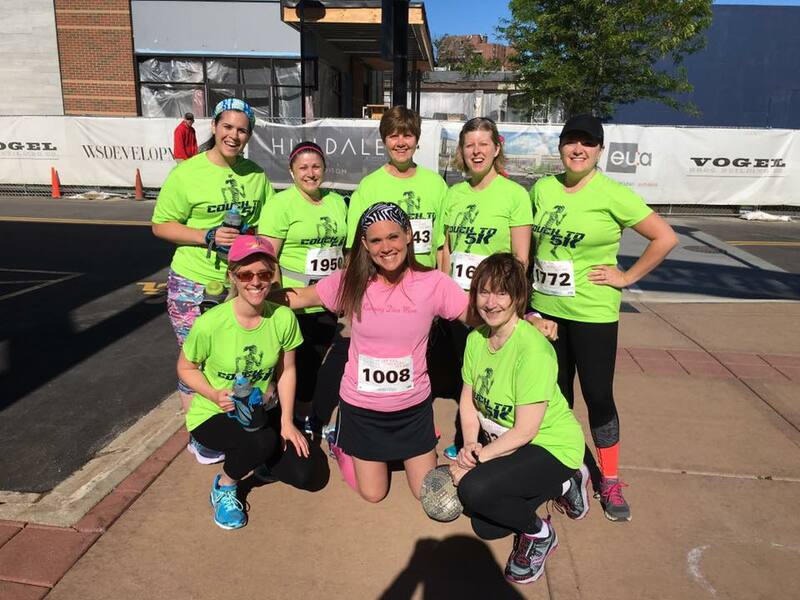 The ladies weekend (Mother's Day weekend) will consist of two running events - and a really good time! 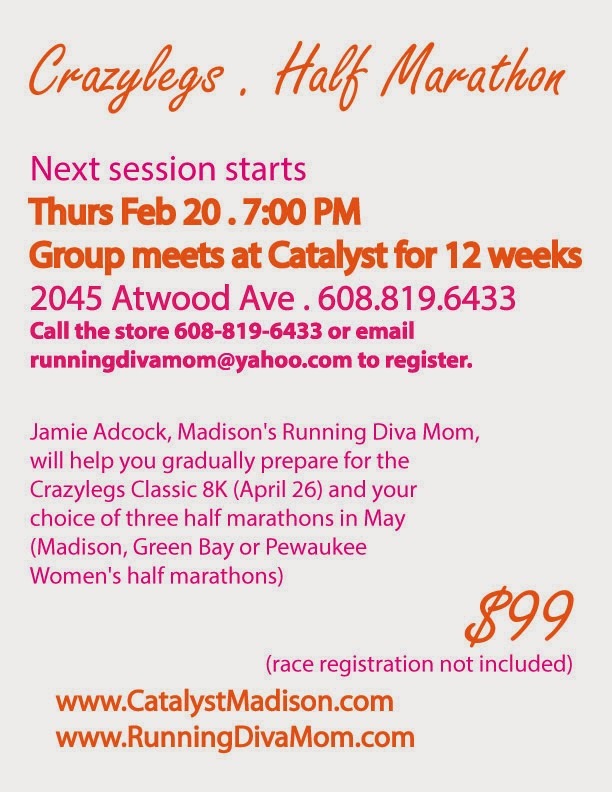 I'm training a group of Madison-area ladies for the half marathon event and I look forward to participating myself. Enjoy the expotique on Friday evening. Friday evening also offers a fun, competitive 5K for the men and women. The ladies start ... and the men follow three minutes later, as they try to catch up to their female competitors. 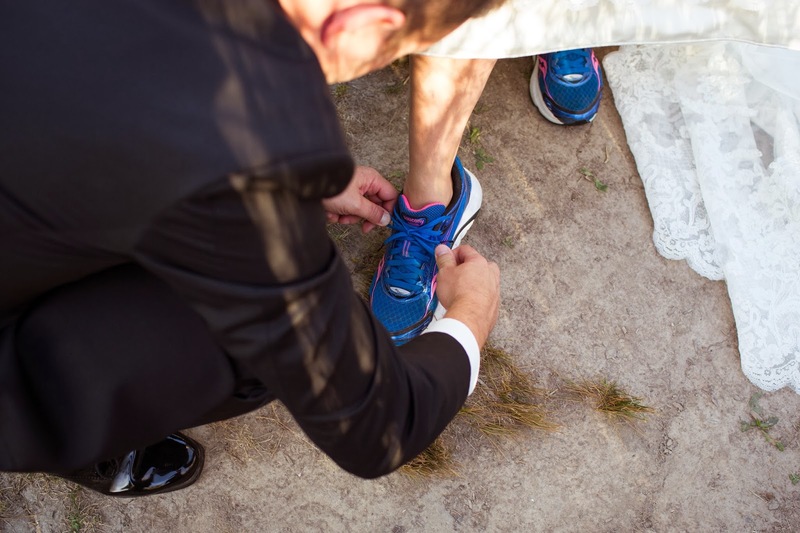 Upon finishing your race, your well-deserved medal will be placed around your neck and you'll be handed a rose by men in suits and tuxedos. Work your way through the Good Harvest Market food corral, collecting organic goodies along the way. YES, men are allowed to participate and will receive a medal. However, men will not receive an age group award. 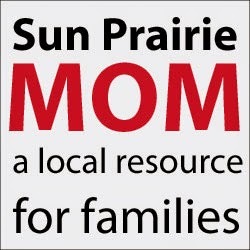 I'm serving as the virtual coaching option and Madison-area coach for Women Run Pewaukee. Contact me at runningdivamom@yahoo.com and we can get started on a custom training program for you - around your schedule and your life! 5% off their WRP race entry! 5 – Post about this giveaway on your blog, Facebook or Twitter (@RunningDivaMom @WomenRunPewauke #RunningDivaMom) account. LEAVE ME A COMMENT FOR EACH. Enter now though Monday, March 3. Join me at the Dream Bank! I'm super thrilled to be able to give back at the American Family Insurance Dream Bank. This location has inspired me so much over the past year and has motivated me to pursue my dreams! 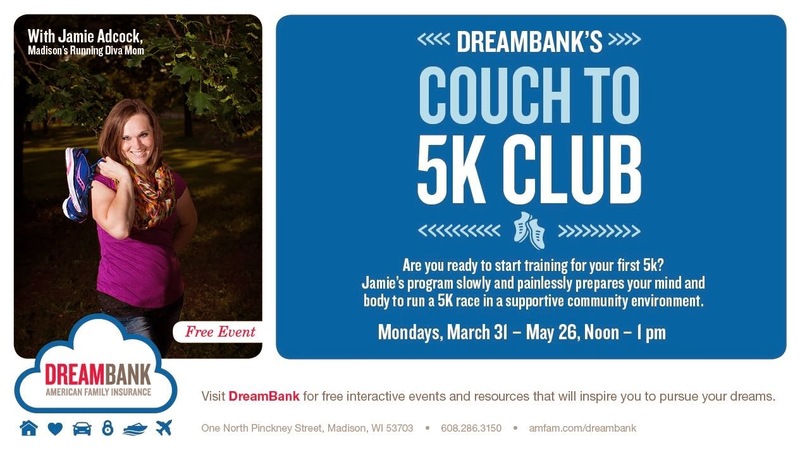 Now I am able to help others pursue their dreams through a Dream Bank Couch to 5K Club. 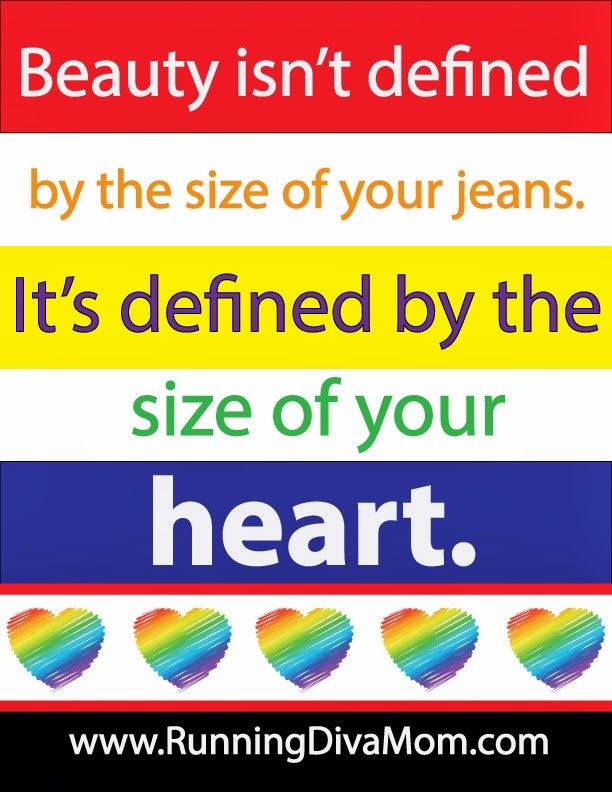 by the size of your jeans. Last year on February 1, I participated virtually with Fellow Flowers' Declare It Day. The event united women from all over the country - and the world - as they set goals, state goals, declare goals. Goals were running related and non-running related. There was also a small get together in the Madison-area that I was unable to attend. 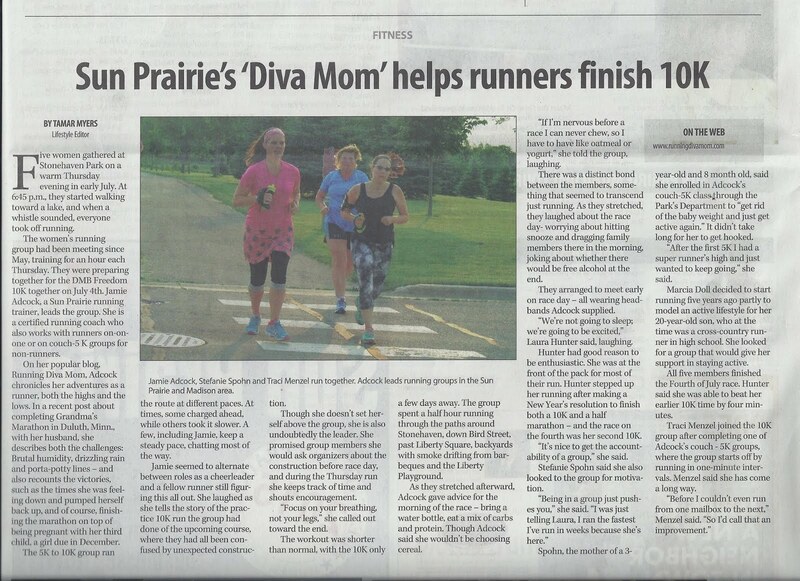 But, I printed off my declaration for 2013 to "pursue Running Diva Mom full-time" by the end of the year. It was simply a "dream" of mine - I wasn't sure if it was realistically a "goal". But, I stated it nonetheless. I posted my declaration on my home office bulletin board and stared at it for months. 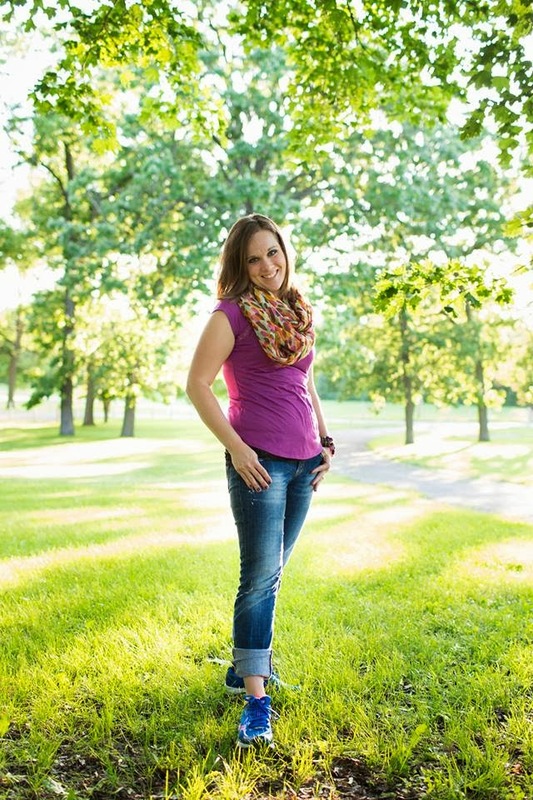 I had grown my blog and my coaching business tremendously since it started it in 2009. Never in my wildest dreams did I think I would go from inactive adult to runner to running coach. 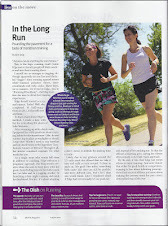 I the summer of 2013, I signed up to be an RRCA certified running coach. I registered for the training in Chicago and later took the exam and got certified as a running coach. Yes, me! And shortly after Thanksgiving, I submitted my resignation to pursue Running Diva Mom full-time, in addition to helping manage a running store in town. So, when I was asked to participate in this year's Declare It Day, by Mel of Fellow Flowers, I jumped at the opportunity. I also had the owner of Catalyst, Gail, join me as well as some friends from the local running community. The event was held at Hotel Red in downtown Madison and was 3+ hours of inspiration and "living the dream". Inspiration was everywhere. Everyone was asked to dress in turquoise, red, black and white - in honor of the new turquoise flower. It was amazing to see all of these women - far and wide - come together to support each other. This year, my declaration from last year had already came true and I was declaring a new goal - well, actually two of them. 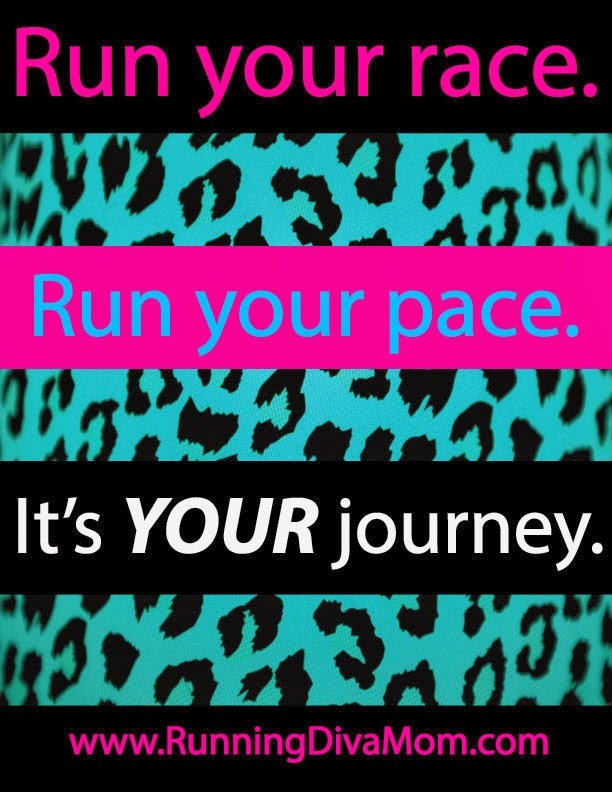 I want to help 200 women start their journey with running this year. And (the BIG one), I want to keep family first, as I embark on this new career and personal journey for myself. I often tell others that I suffer from this "fear of missing out syndrome" and want to help others, be involved in everything that I can and be in 3-4 places at once. That is simply not possible. I need to pursue my dreams, my passion and be driven. But, I also need to realize I have limits and not to sacrifice the other things - and relationships - around me. I have two wonderful children that I try to 99% of the time plan my schedule around. And a supportive husband, that believes in me and my dreams. But I also want to be available and supportive of his dreams as well. It's all about balance. An ongoing pursuit of balance. If anyone figures it out, let me know. In the meantime, I will keep striving to balance everything somewhere in the middle. The night was filled with appetizers, drinks, motivational talks, a heart-warming video, local recognition, prizes, some shopping and a lot of chatter on running history and race goals. Mel and Tori did a great job putting on the event. They inspire so many. This was proven by the 125+ women that attended the sold out event in Madison. And there were thousands (yes thousands) that participated virtually. 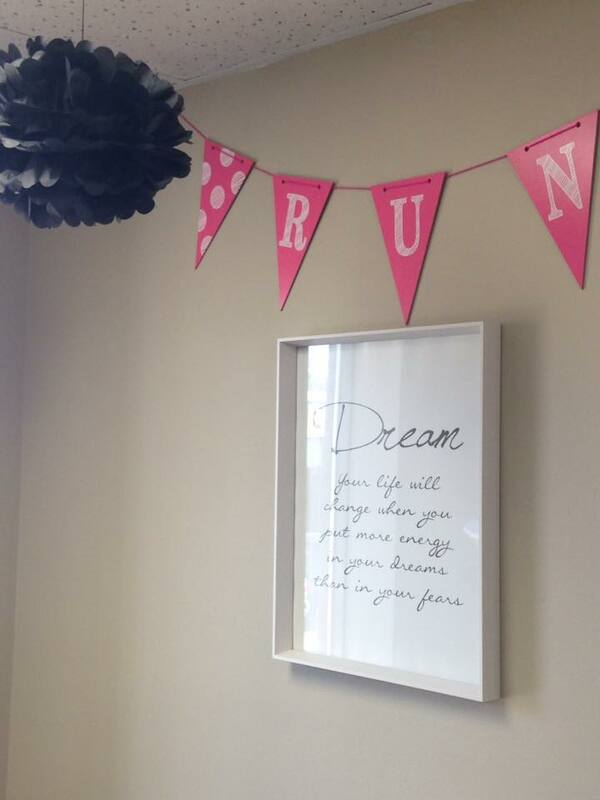 Are you looking for a running coach and a little motivation out on the trails this spring? 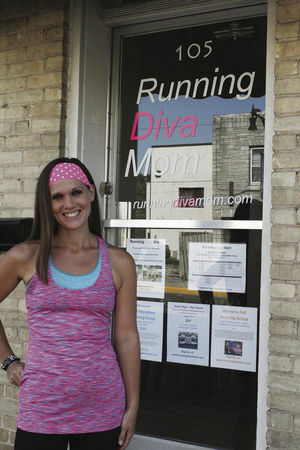 Running Diva Mom﻿ offers individual running sessions and six-session punch cards. This has been a great option for clients that don't enjoy the group atmosphere, want to continue beyond the 5K or want a convenient timeslot. I can't wait to serve as an ambassador for this one! I love rocking my running skirts. I hope that you will join me on August 9. Women Start first at 2:30 pm (wearing Skirt Sports of course!). 3 minutes later, the Chaser wave follows. 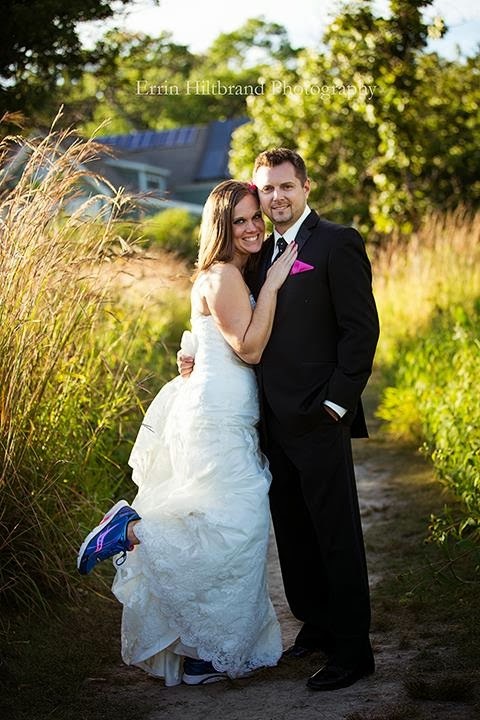 Join us on Saturday August 9th, 2014 for the Skirt Sports Skirt Chaser 5k Madison . It's a party that just happens to have a 5k! Whether you love running or playing (or both), be prepared to push your limits on the road and the dance floor. If you're single, then wear a sign (or one of our stickers) on your back to show that you're looking for love. Did I mention there is an after party, expo, band and prizes? 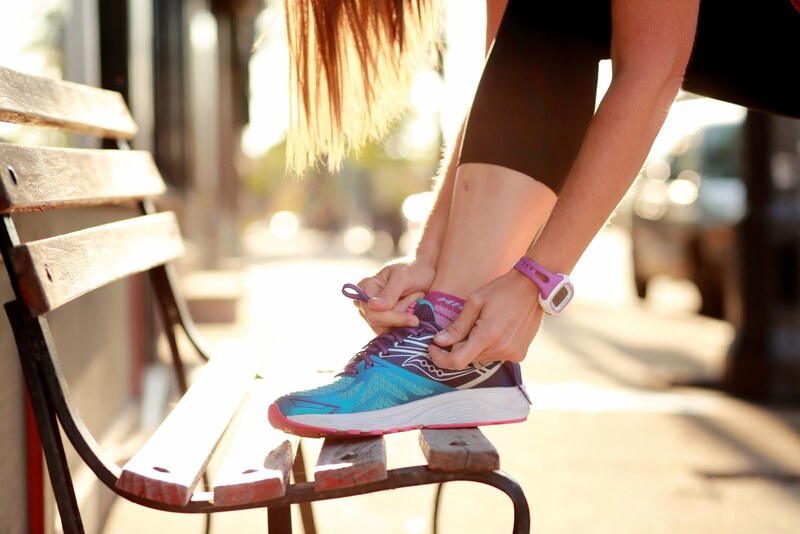 Every runner gets a gift certificate to www.skirtsports.com to spend on Skirt Sports women's running apparel, or a range of men's products including "I Run For Beer" tees, Skirt Chaser socks and more. 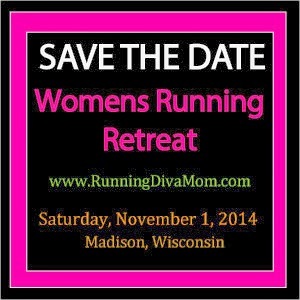 WISCONSIN & ILLINOIS FEMALE RUNNERS!! 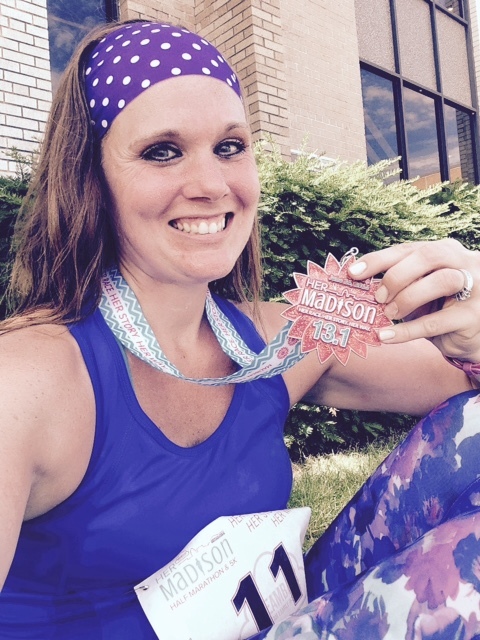 I am very excited to be serving as the Madison-area ambassador for the Womens Half Marathon. I also can't wait to get a great group of ladies in the Madison-area ready for this event. Training starts on Thursday, February 20. 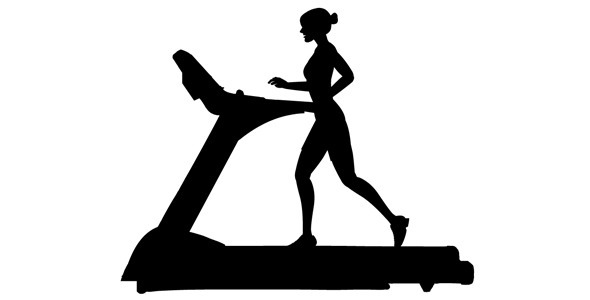 Running Diva Mom﻿ custom training programs and virtual coaching also available. 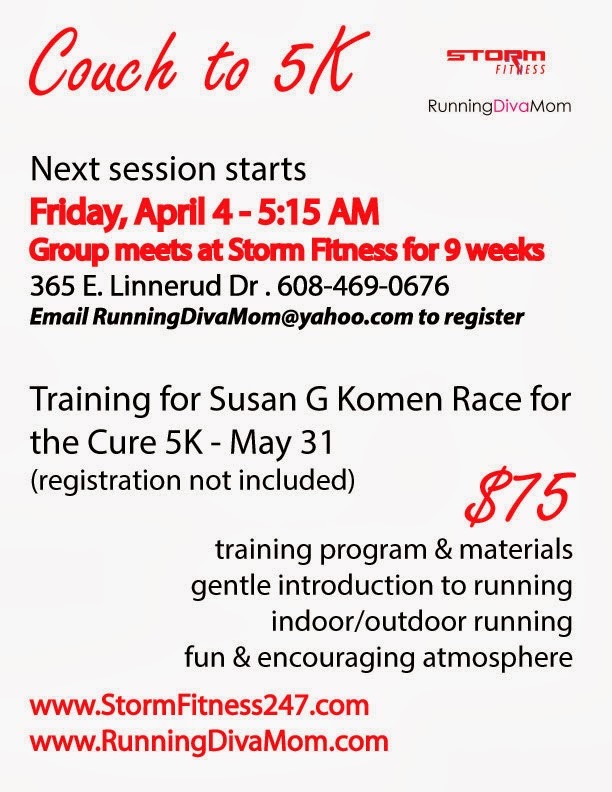 Email runningdivamom@yahoo.com to start training together. I look forward to helping you develop a CUSTOM training program - around your life. 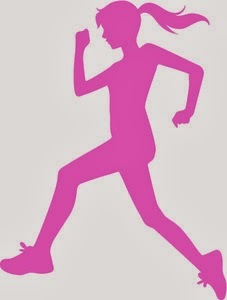 Visit www.womenrunpewaukee.com to register for the 5K and half marathon events. 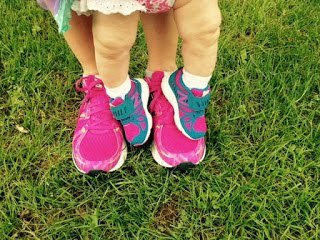 After reading several blogs written by other running moms, I decided to start one myself. 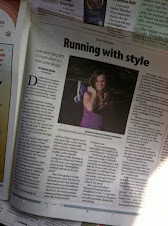 I developed Running Diva Mom in 2009, which I felt described my bold, outgoing style out on the race course. 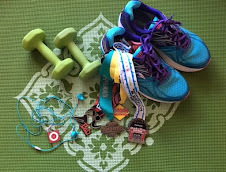 I first used my blog as a personal journal with family and friends to record my training, race day accomplishments and to share how I incorporated my family into my fitness routine. 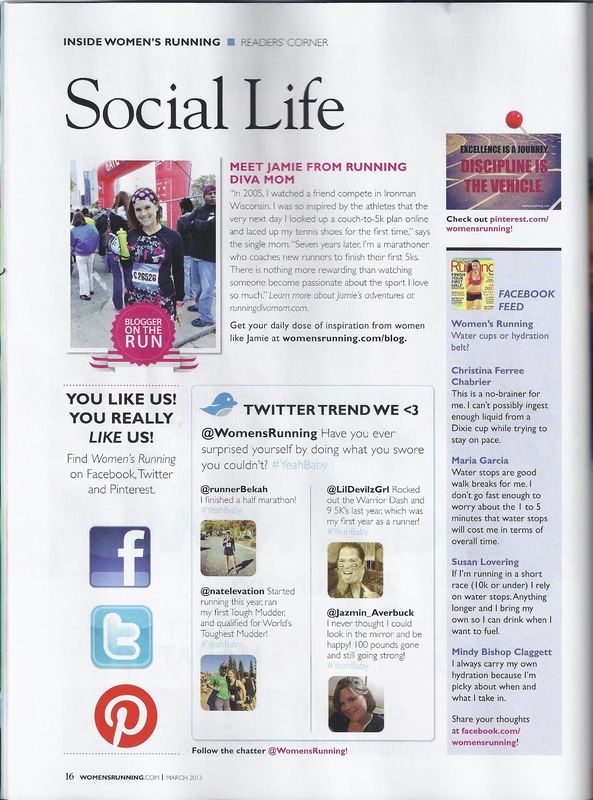 Eventually it evolved to include product reviews for active families, event promotions and articles I’d written. 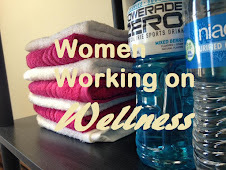 If you are interested in working together, please reach out at runningdivamom@yahoo.com.